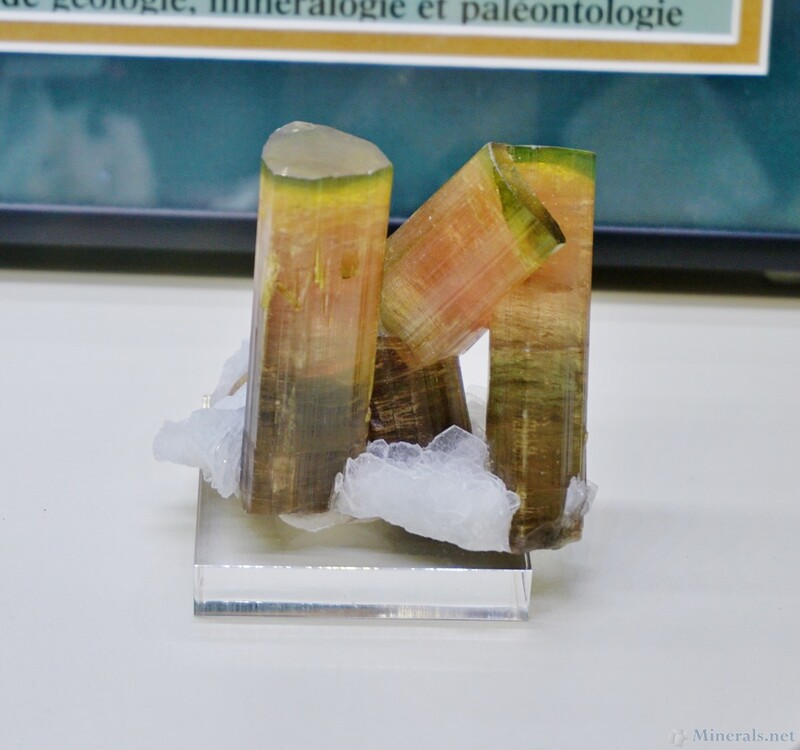 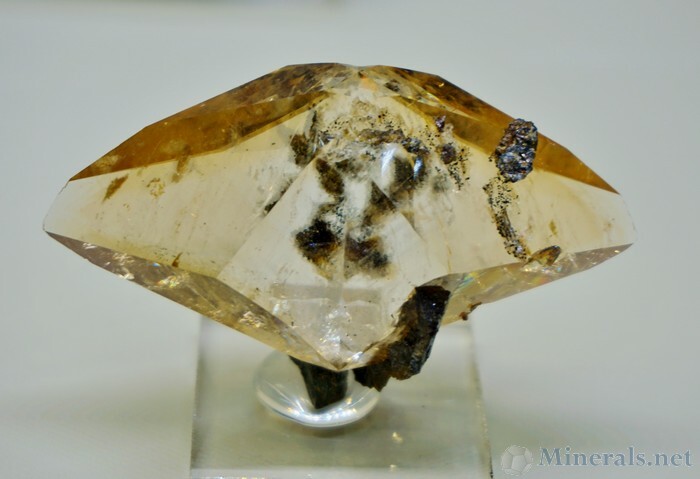 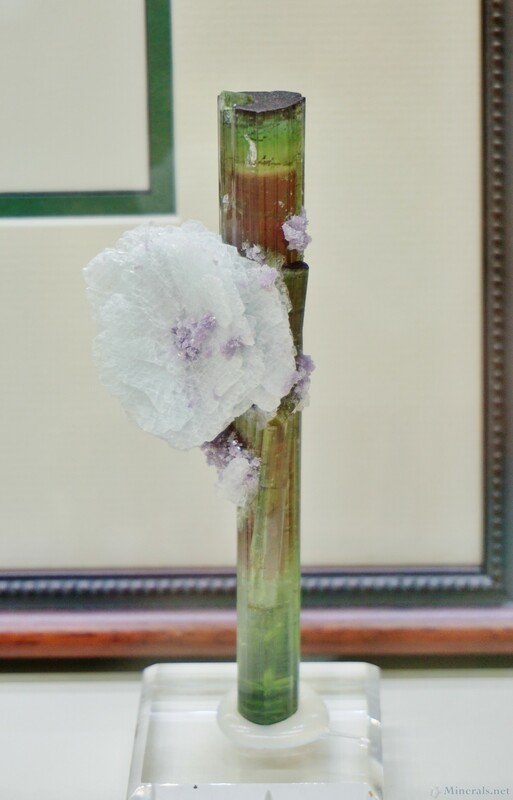 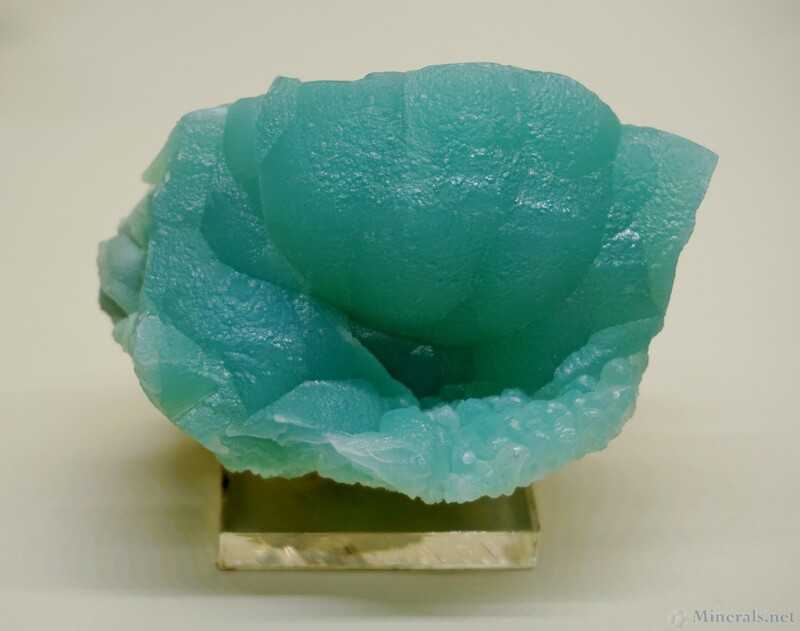 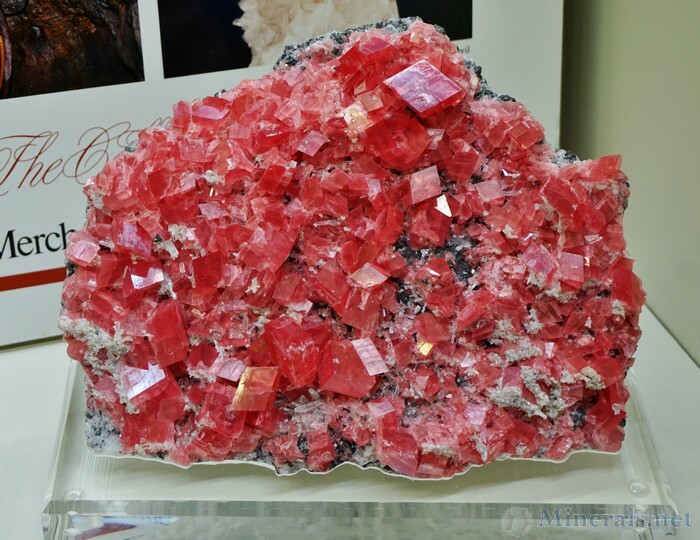 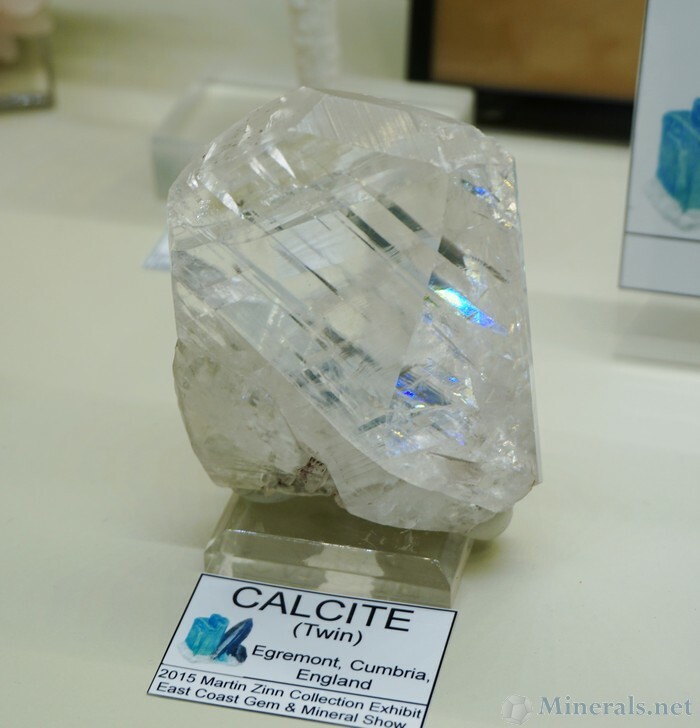 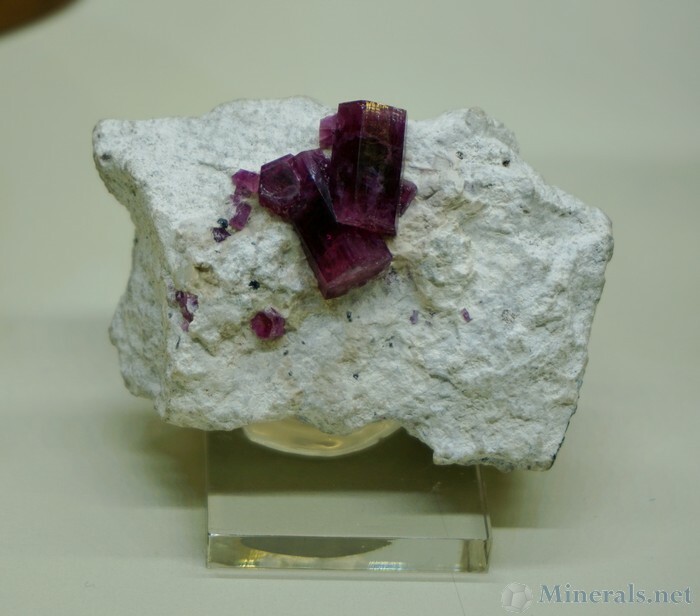 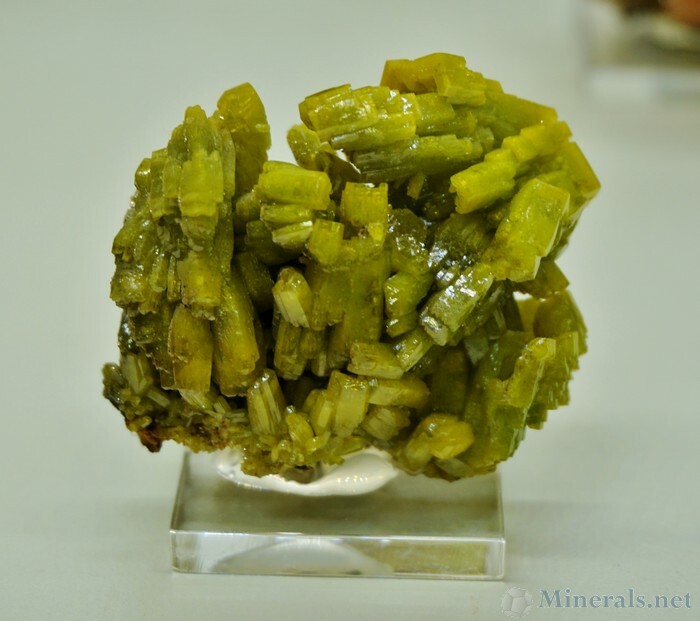 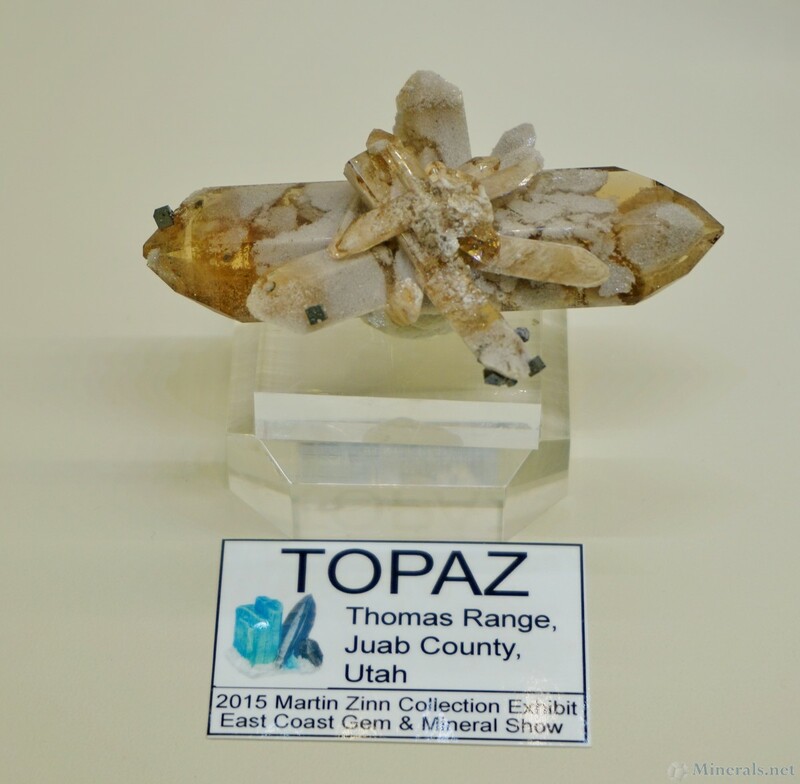 This post is part two of individual snapshots of some of the outstanding mineral specimens exhibited by Marty Zinn at the Springfield show this year. Click the pictures below for a larger version pop-up. 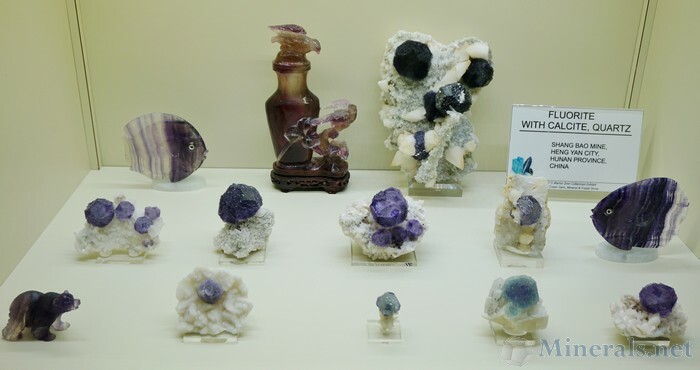 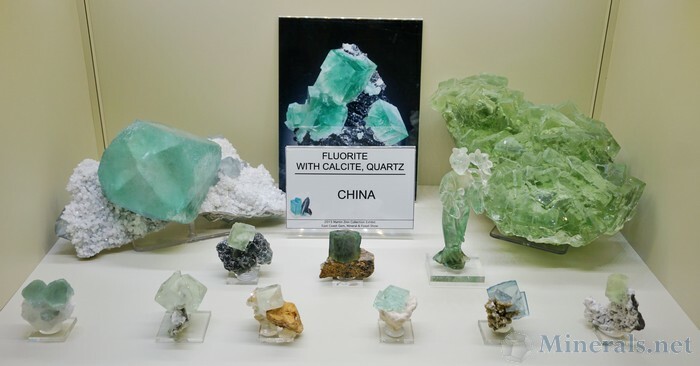 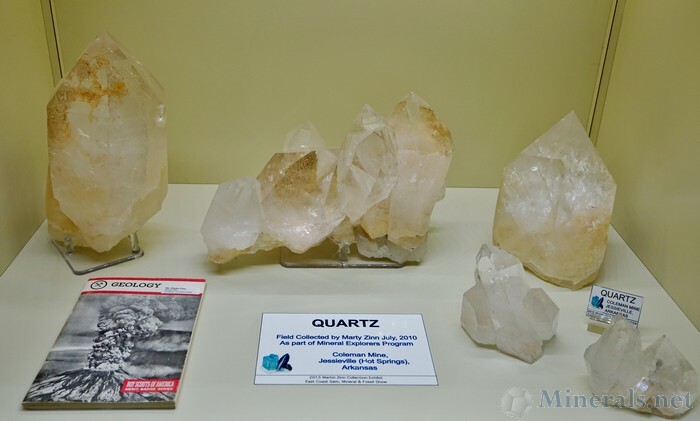 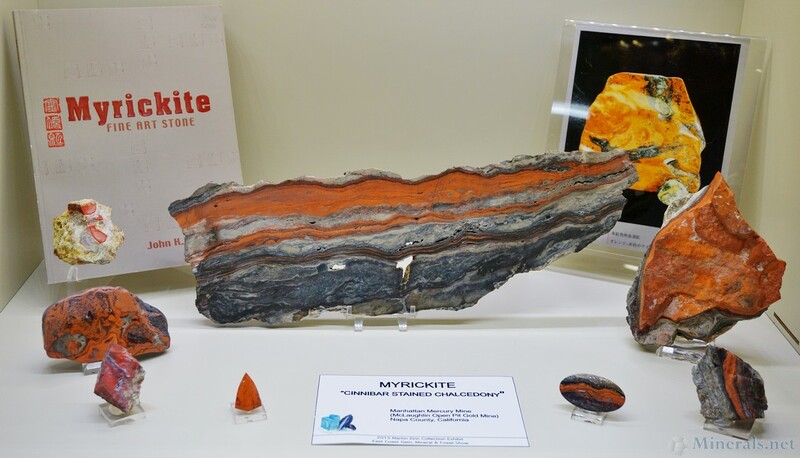 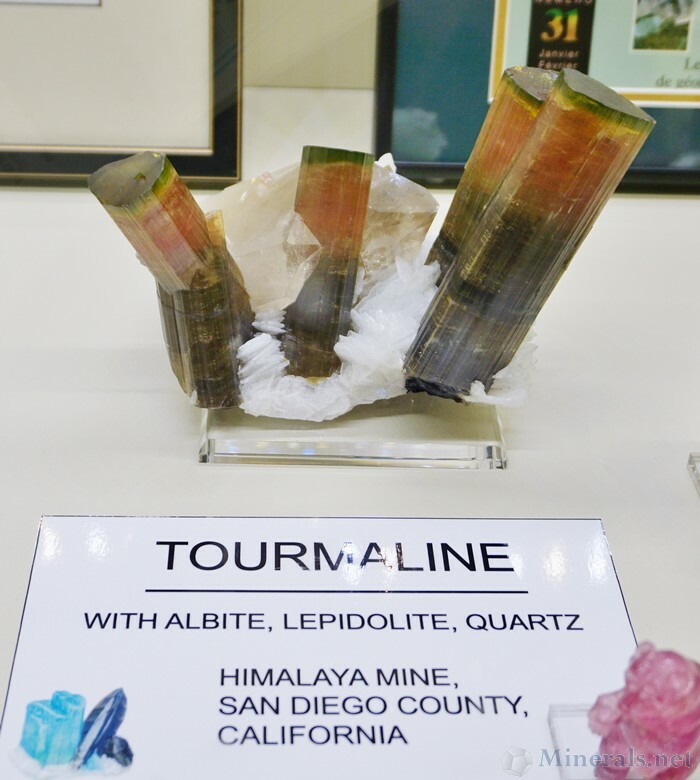 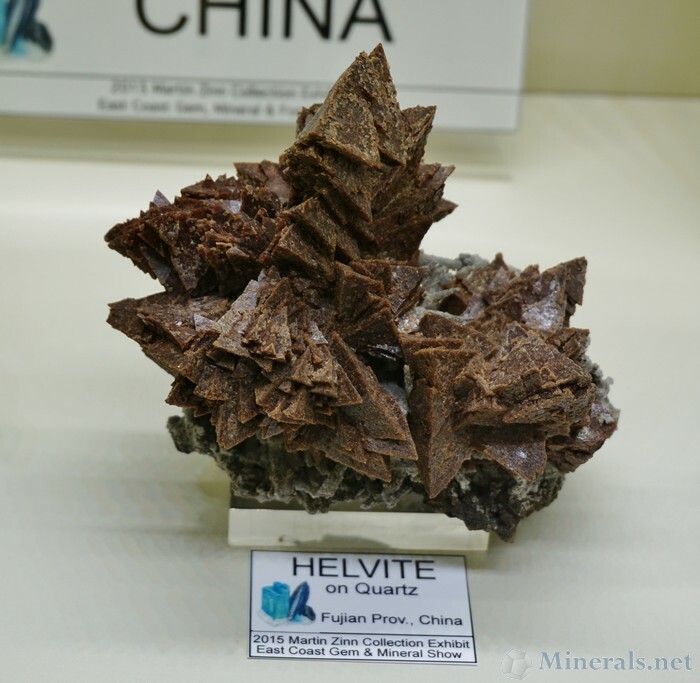 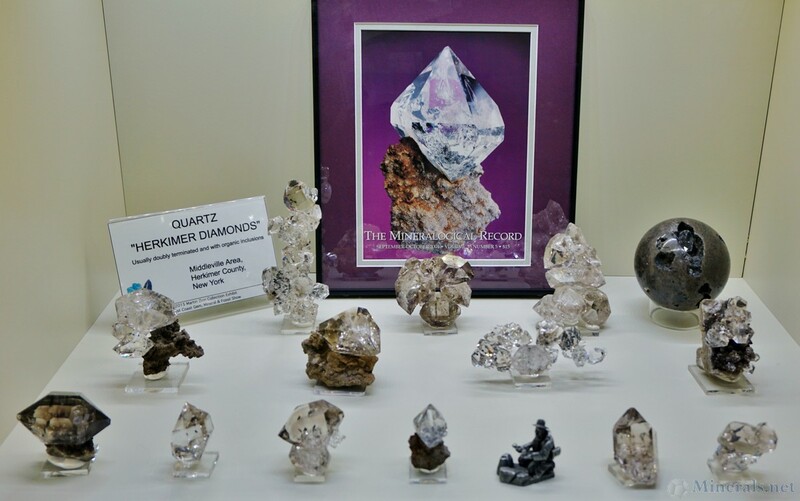 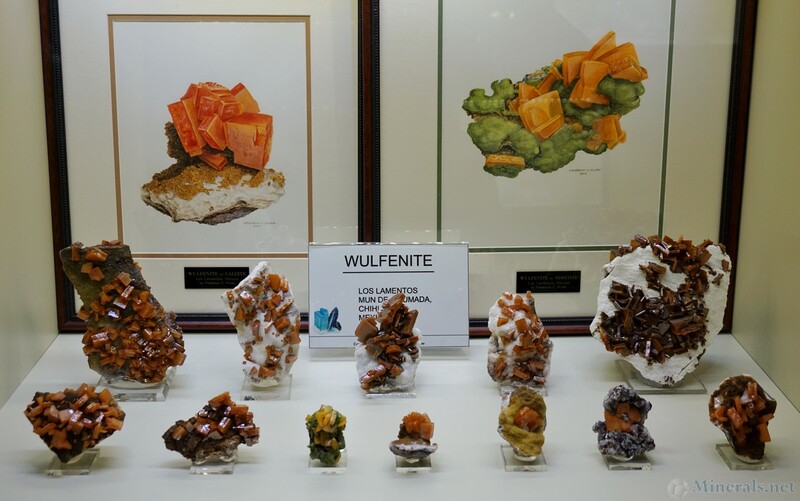 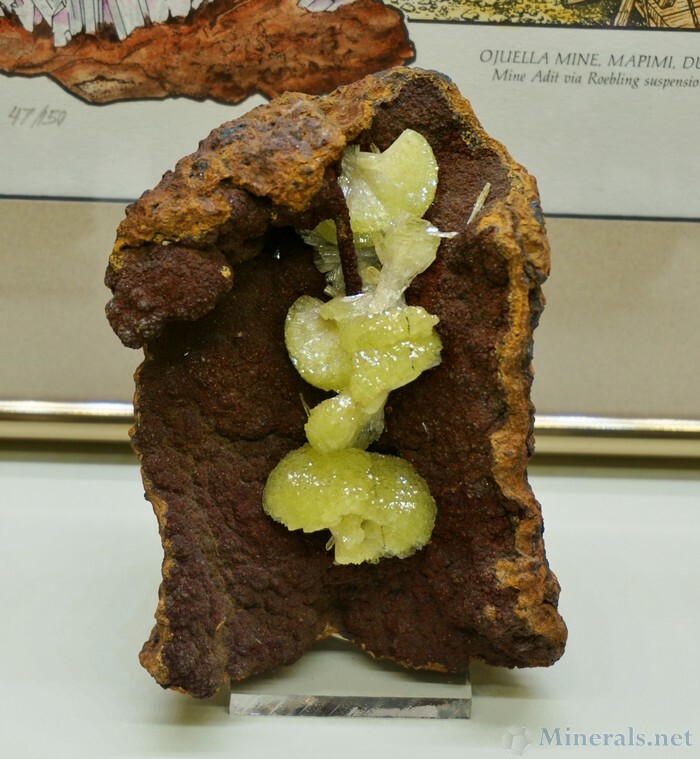 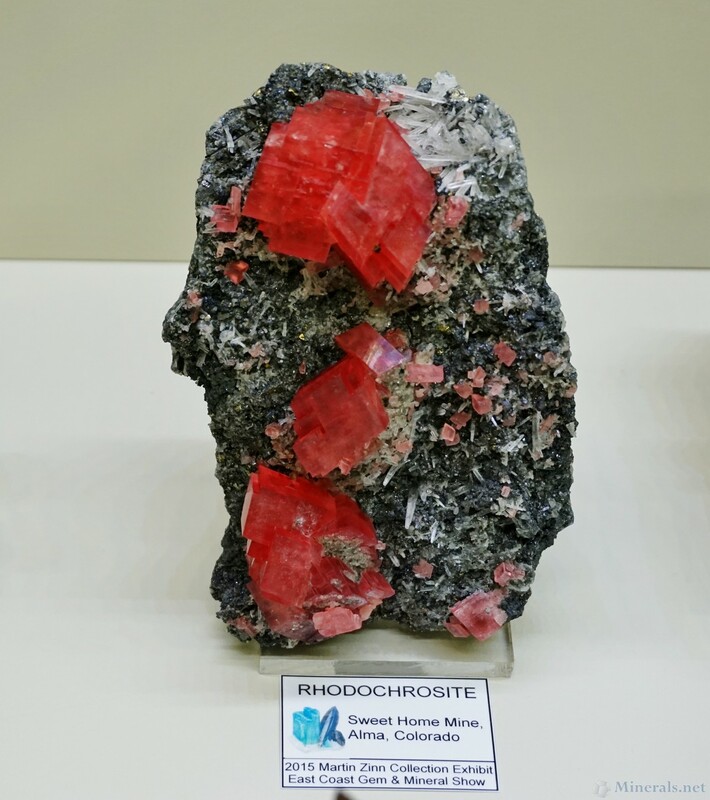 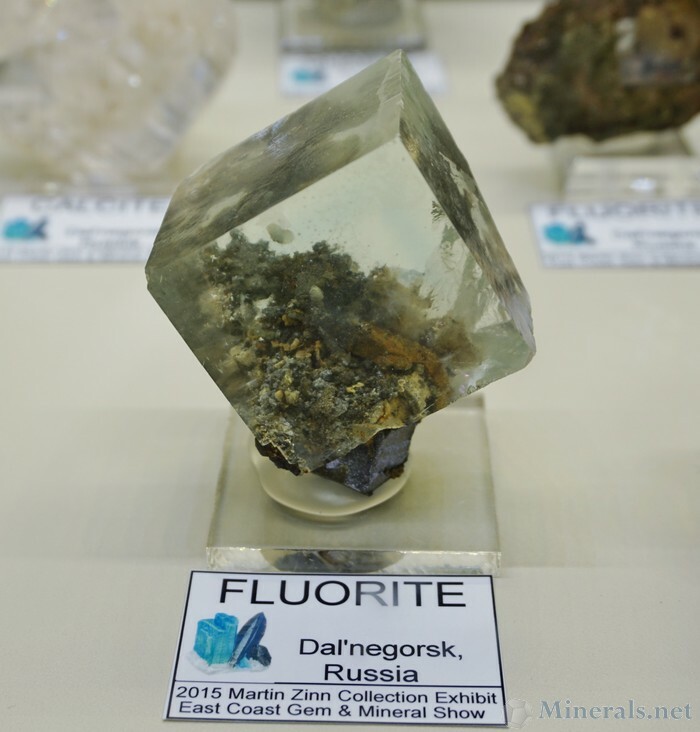 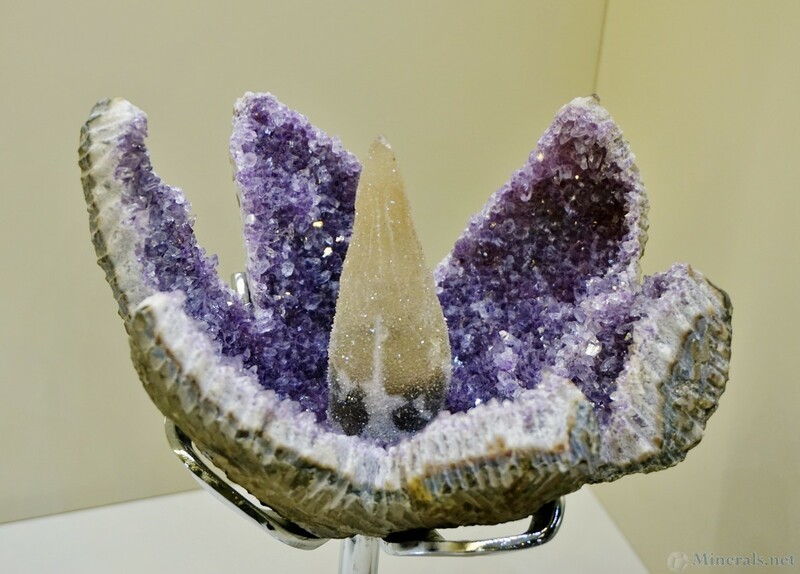 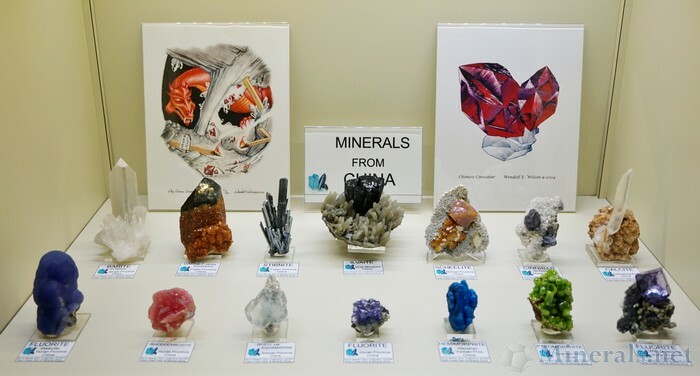 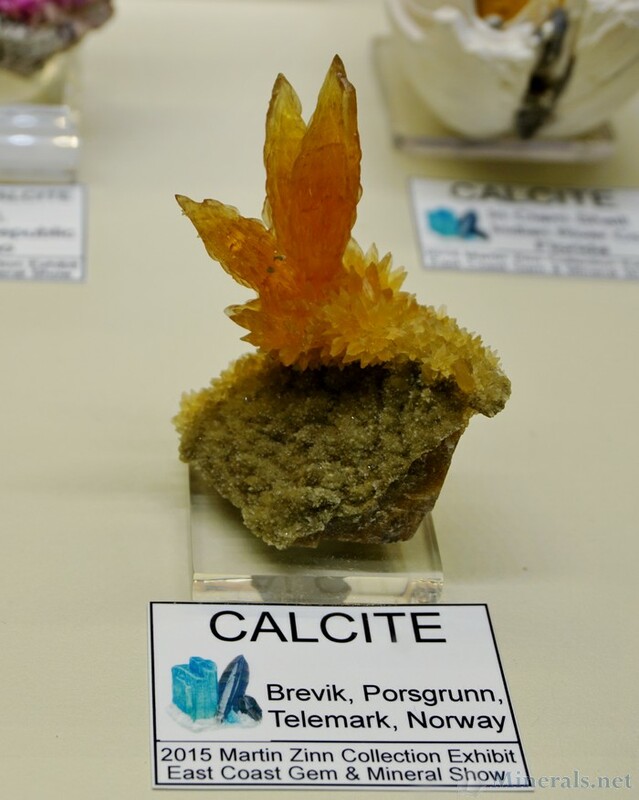 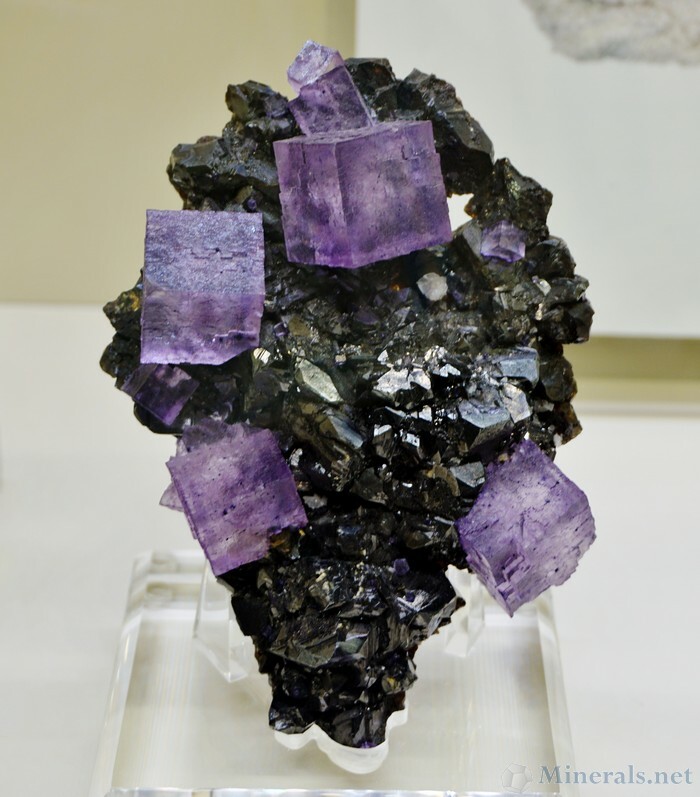 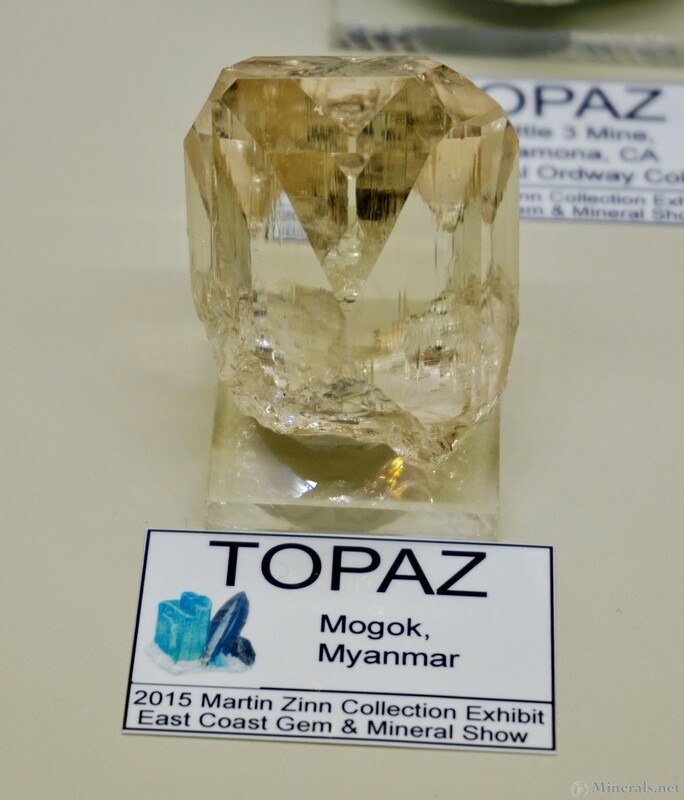 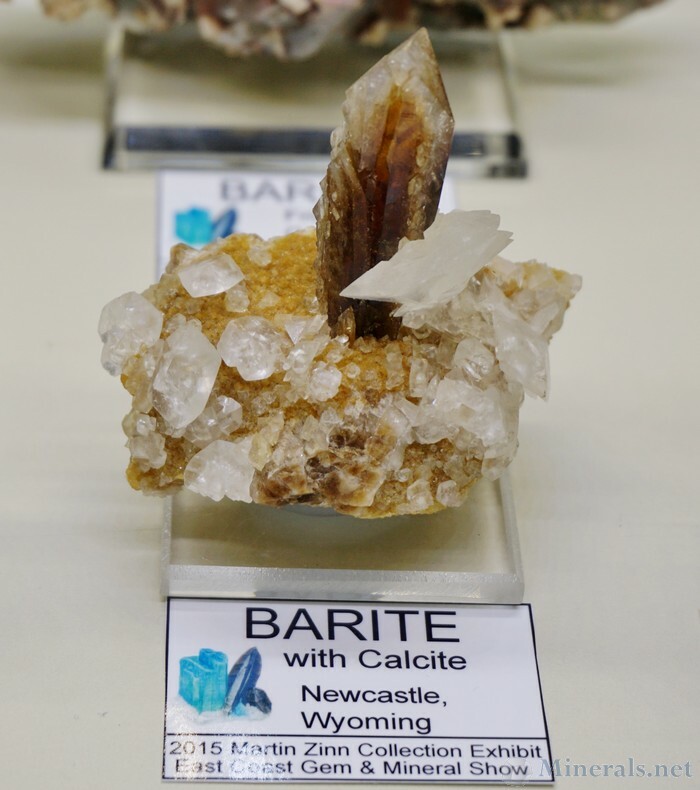 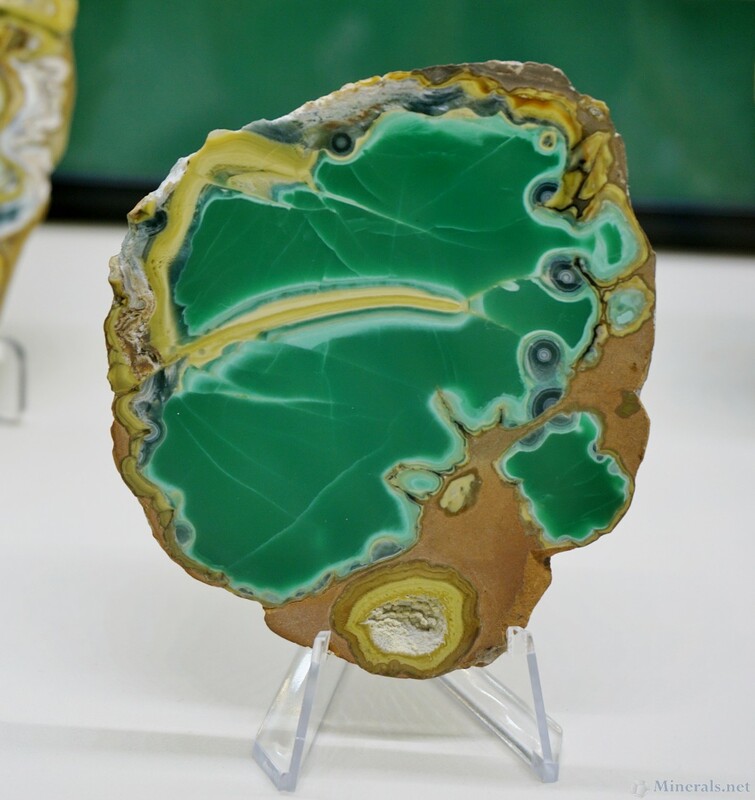 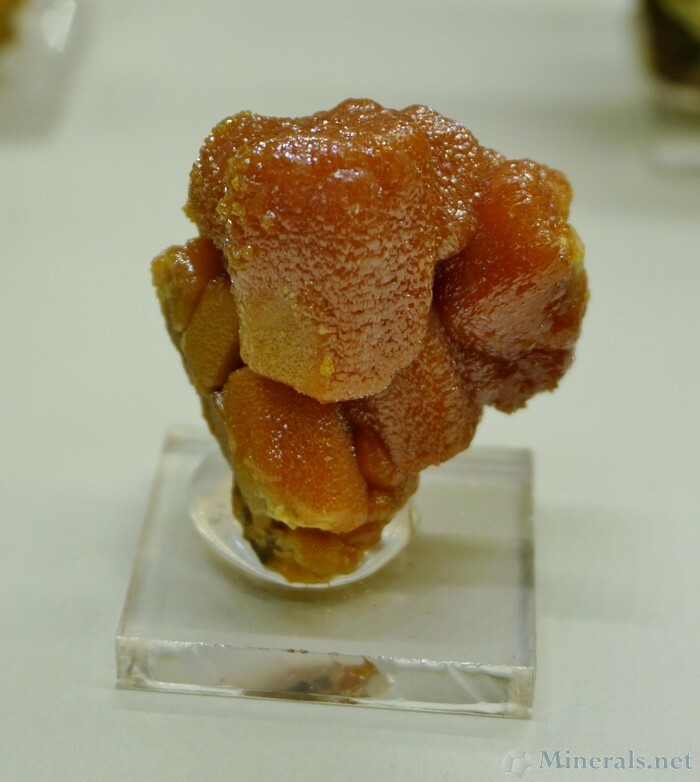 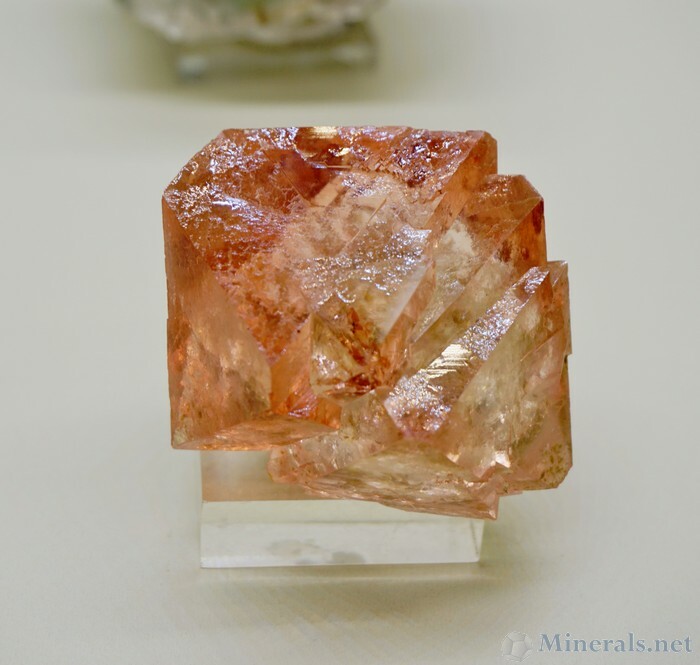 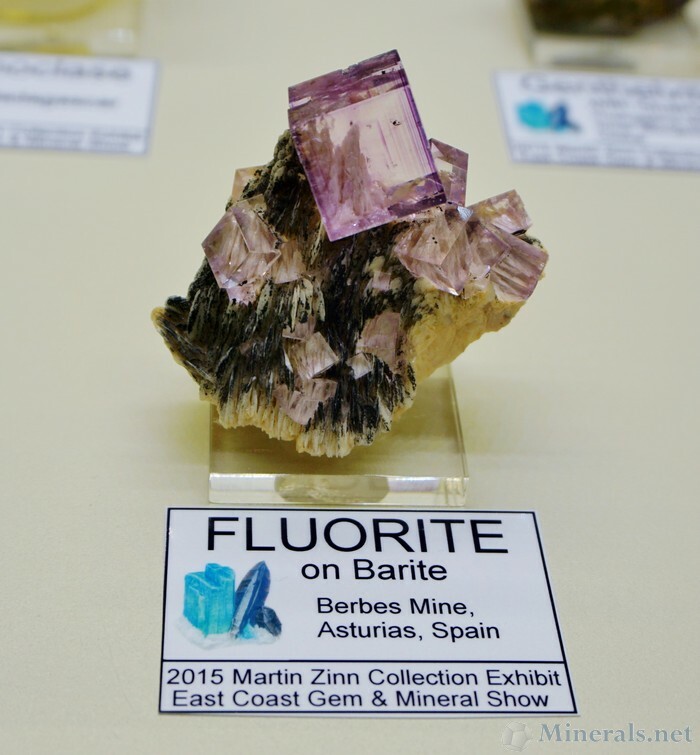 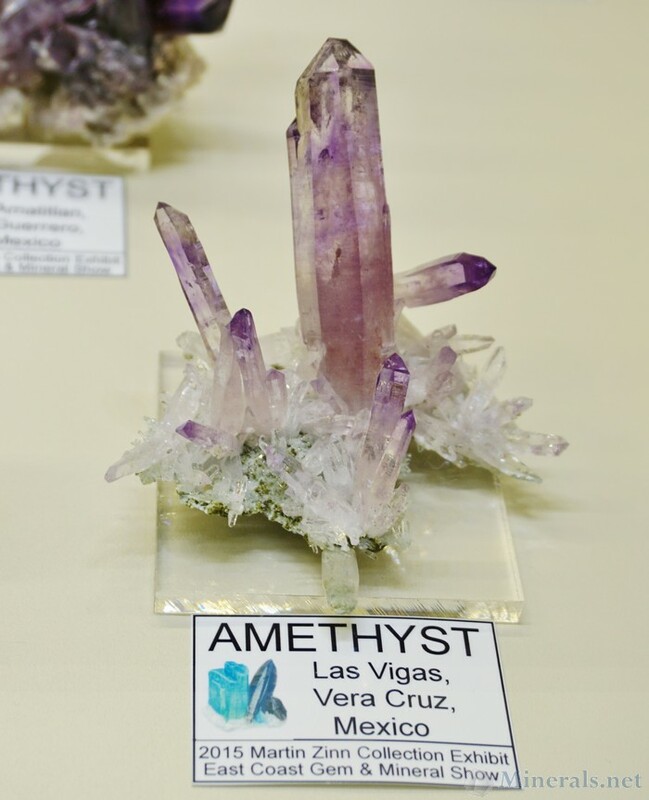 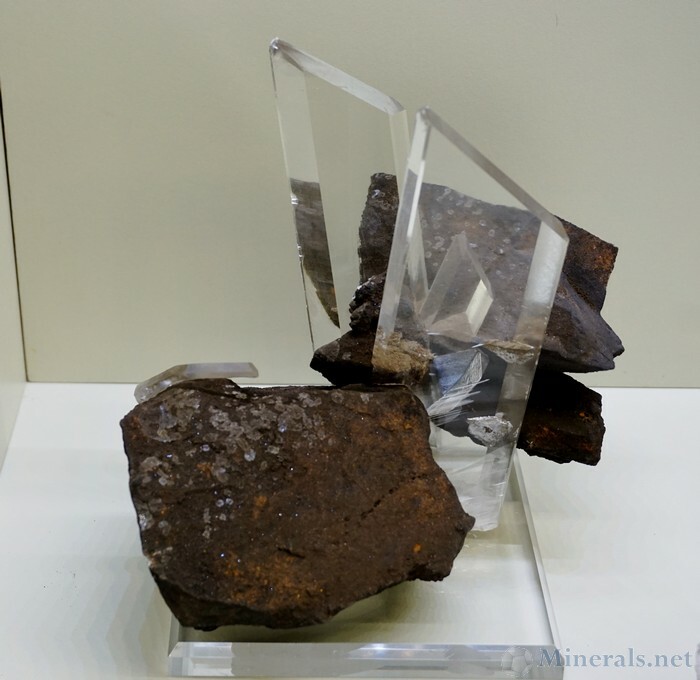 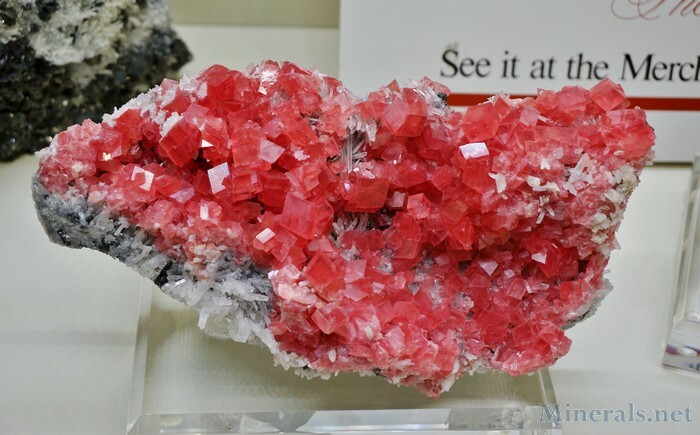 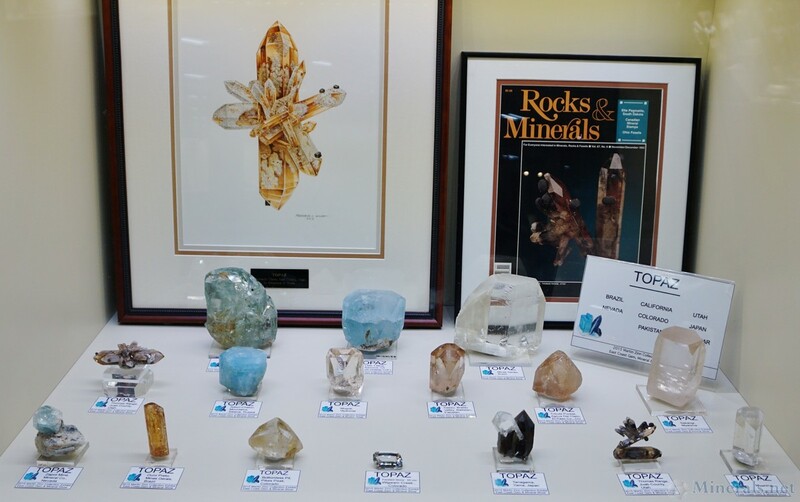 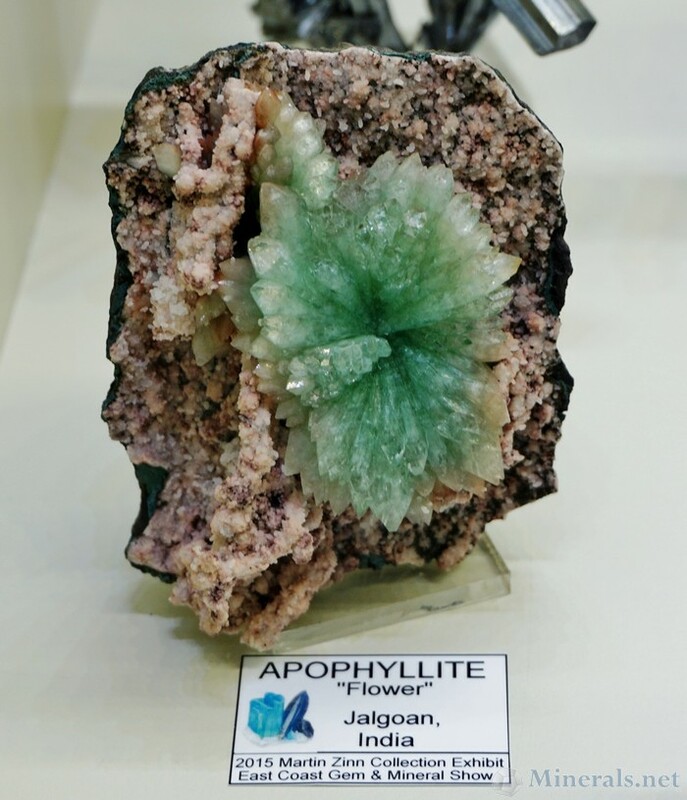 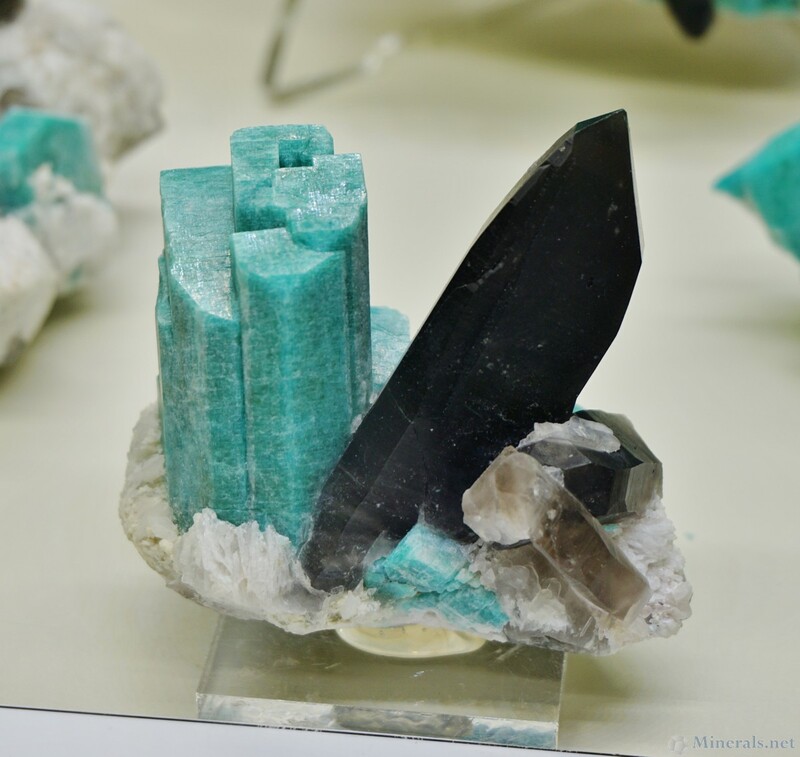 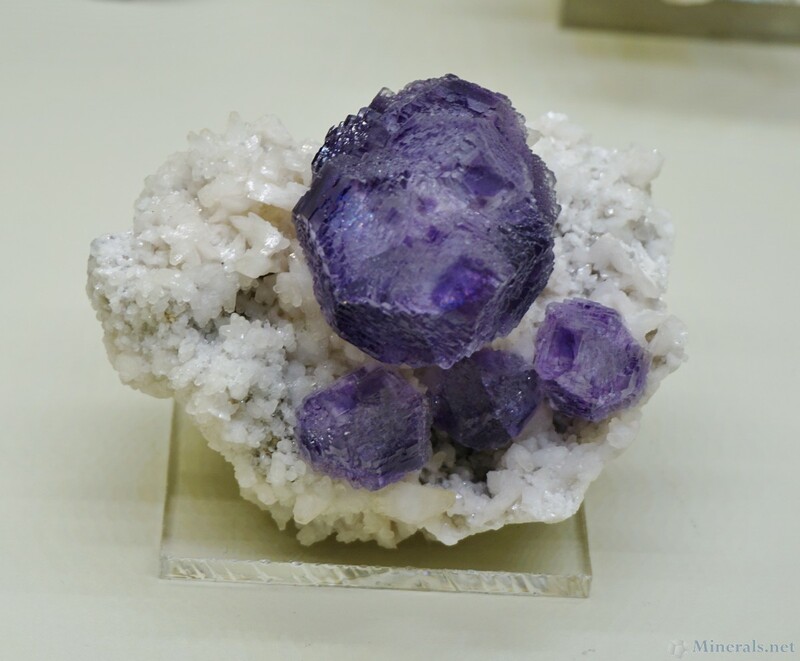 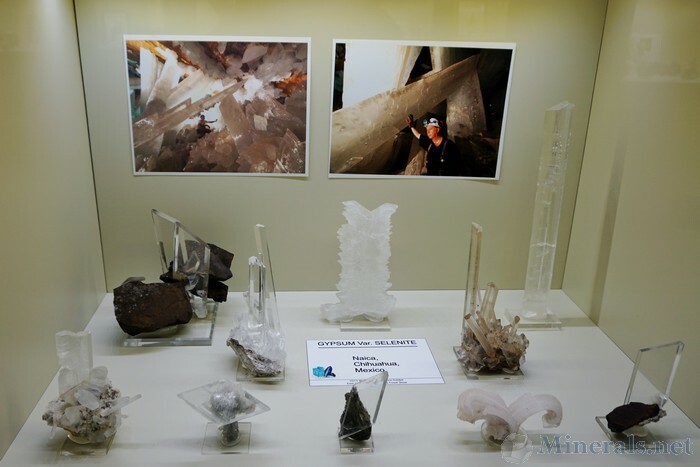 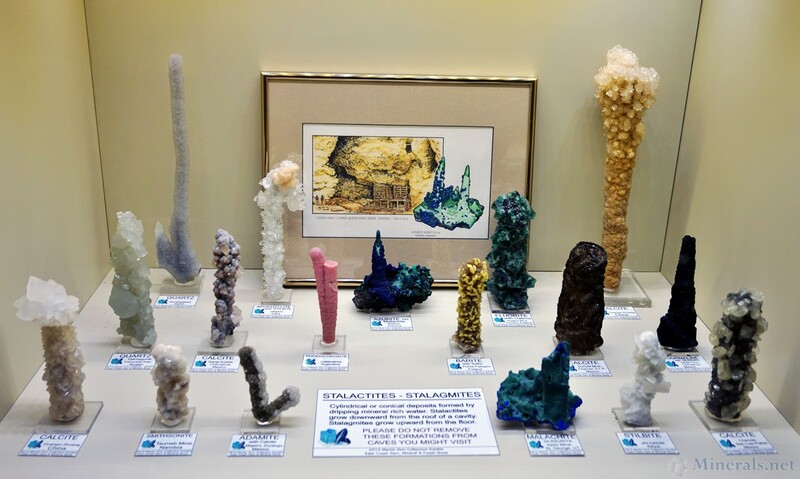 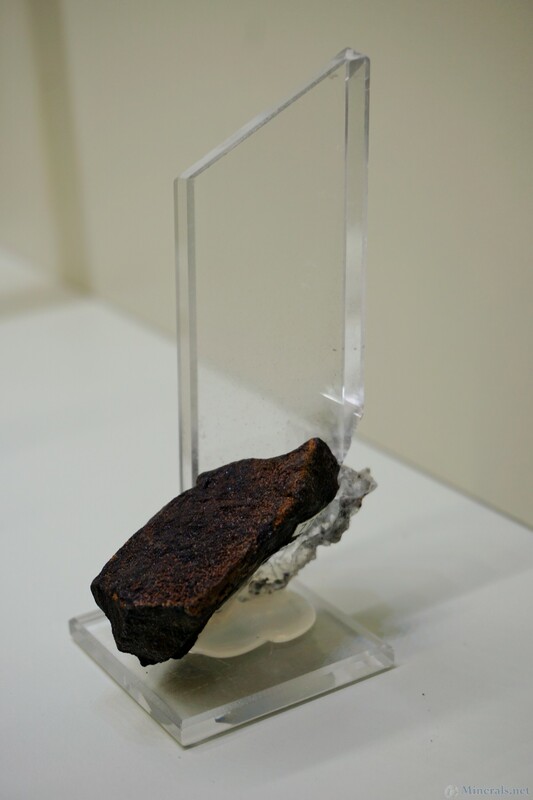 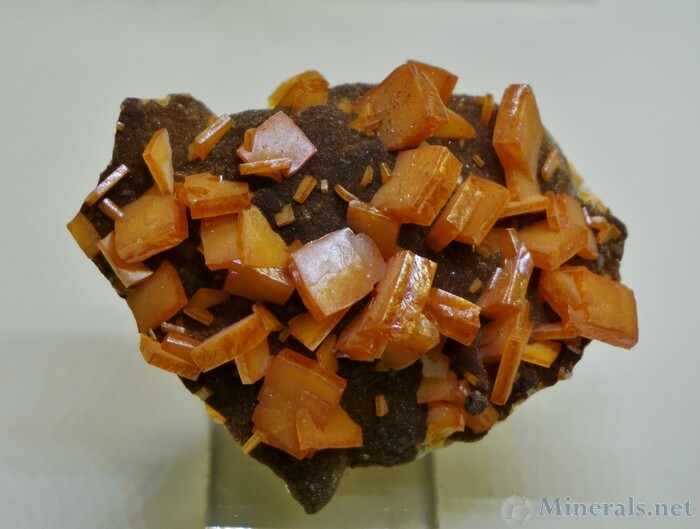 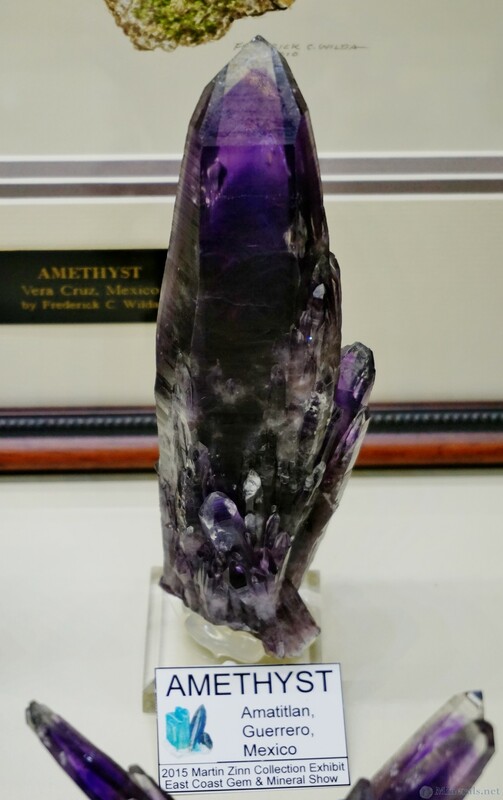 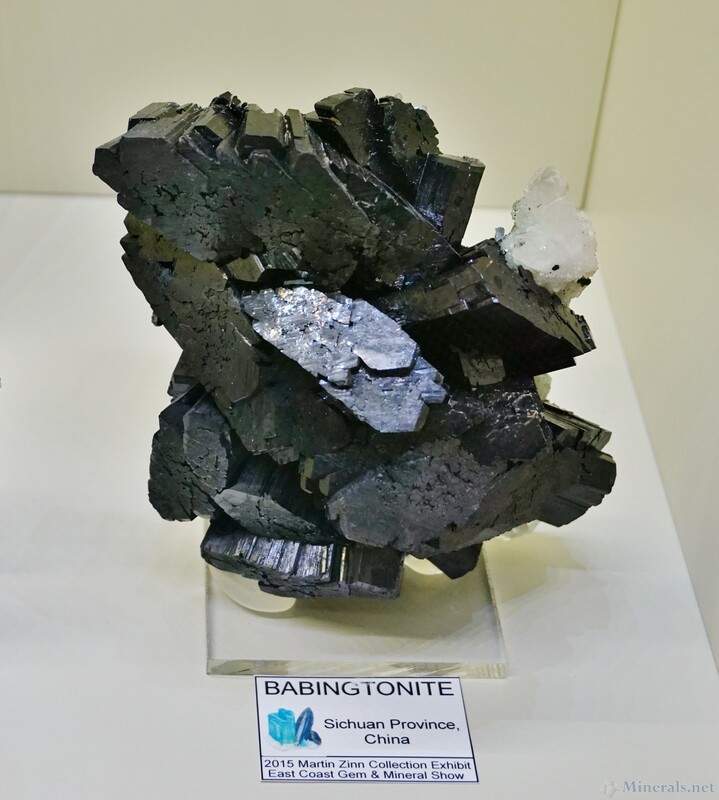 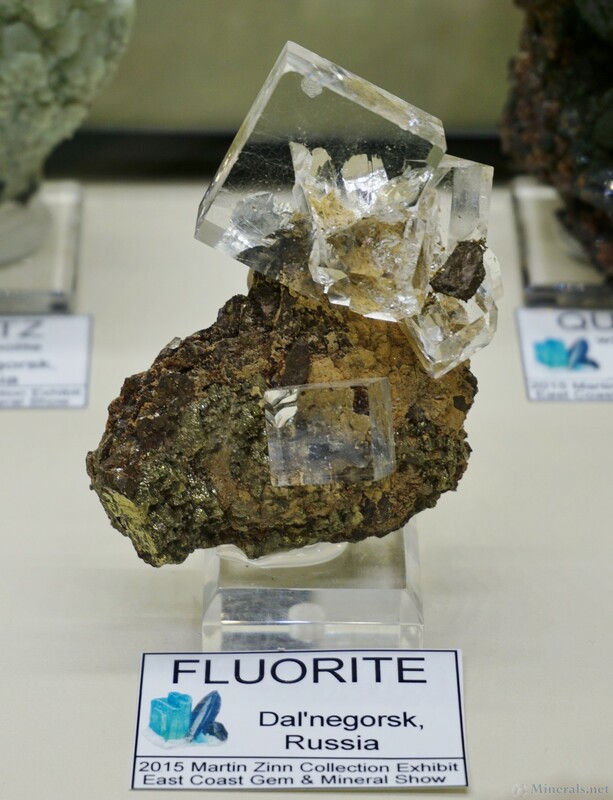 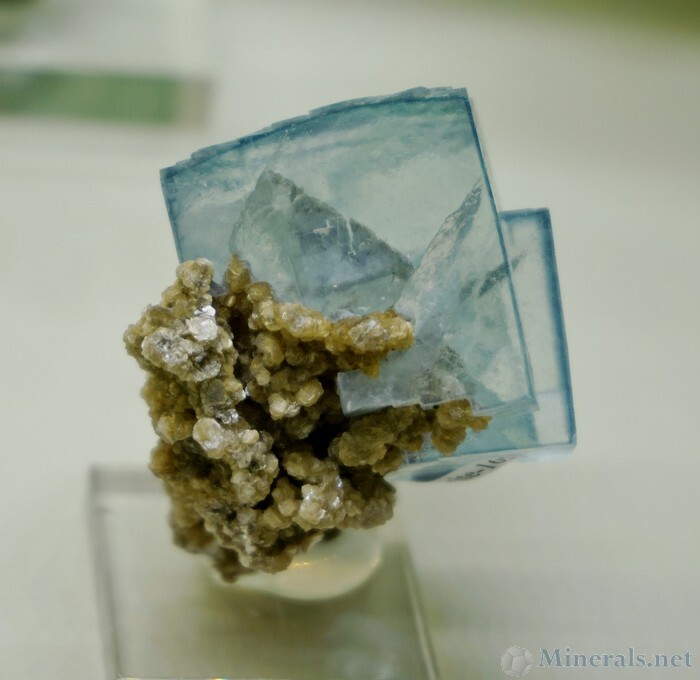 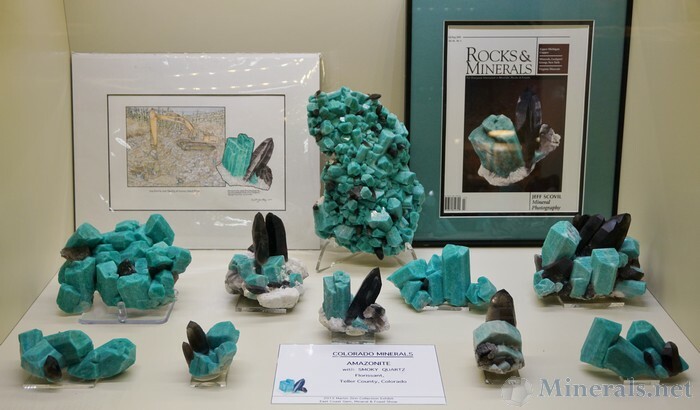 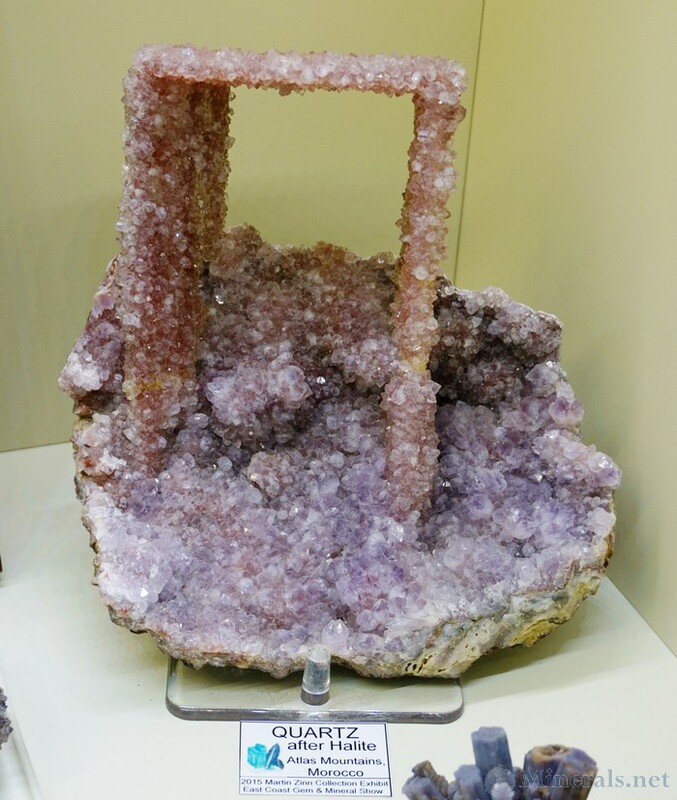 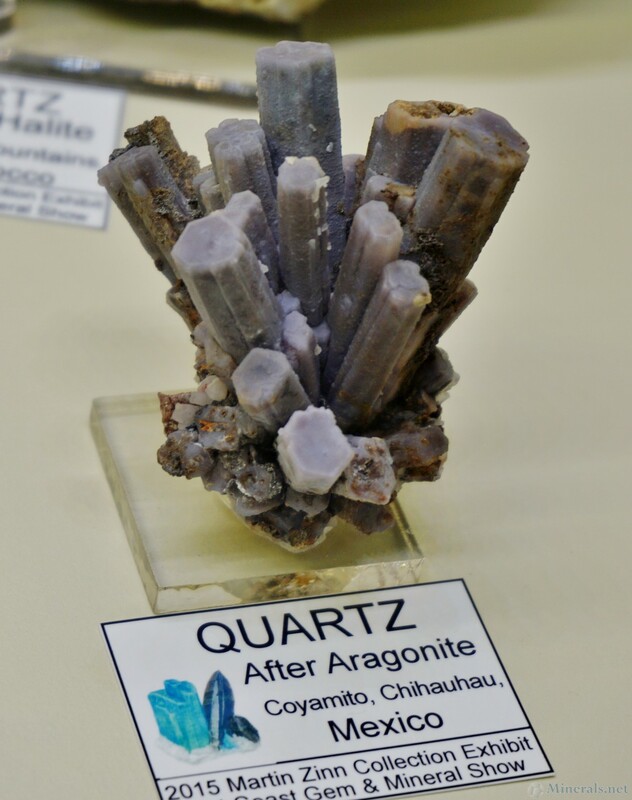 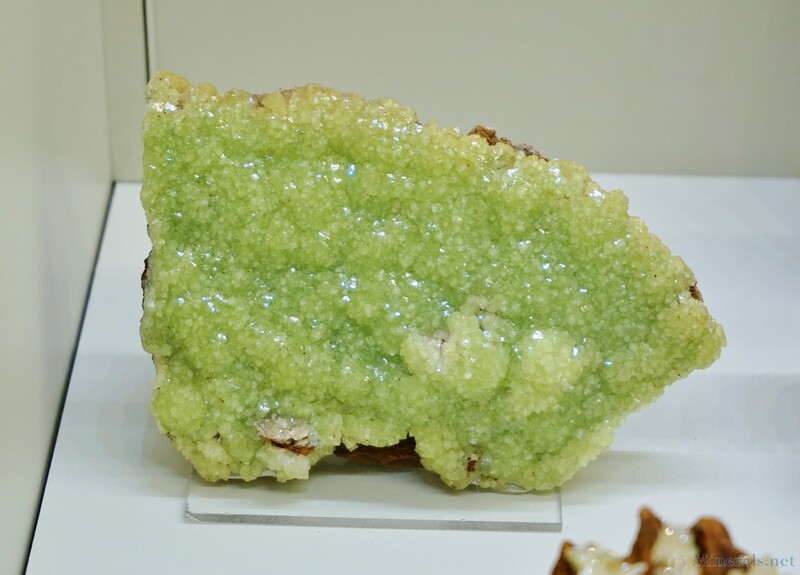 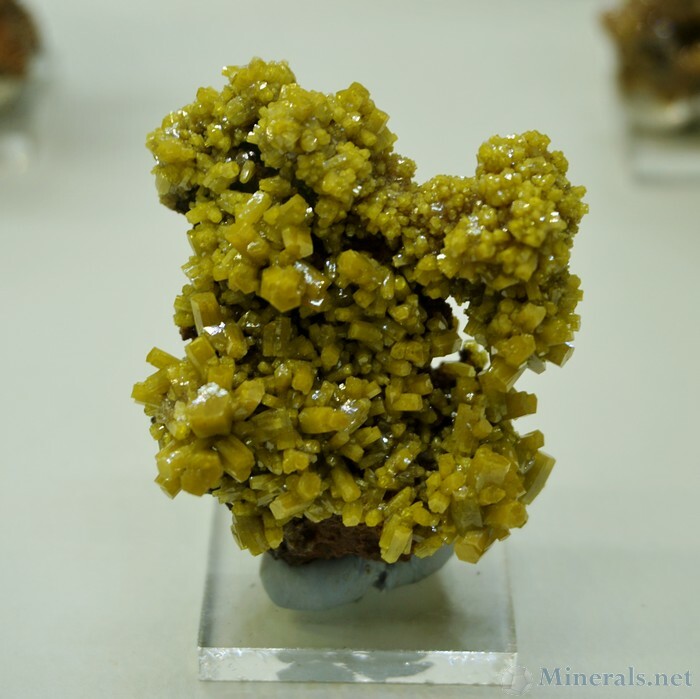 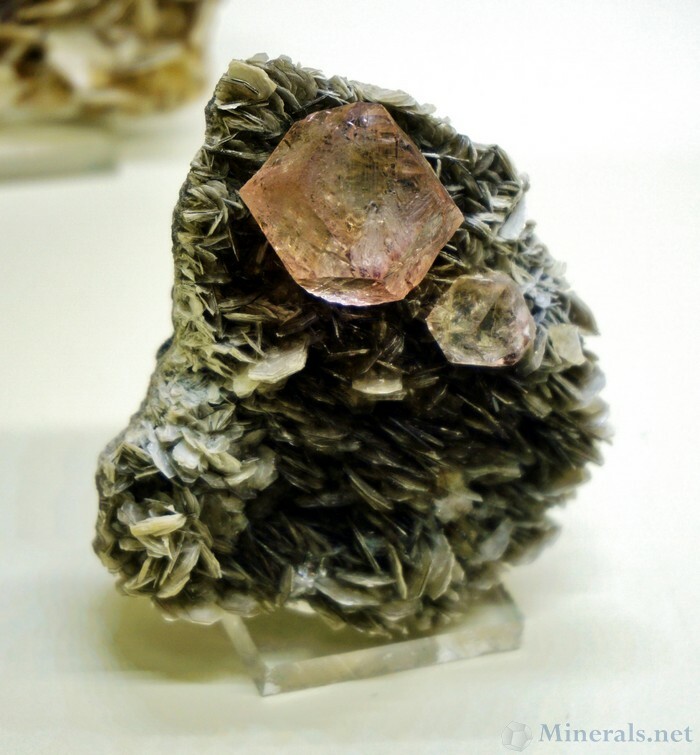 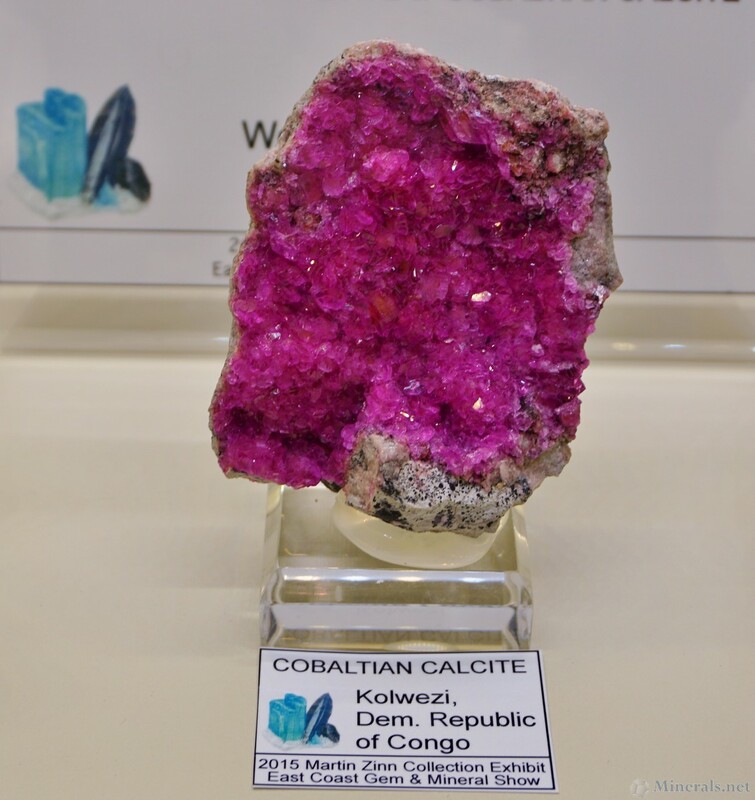 This post shows individual snapshots of some of the outstanding mineral specimens exhibited by Marty Zinn at the Springfield show this year. 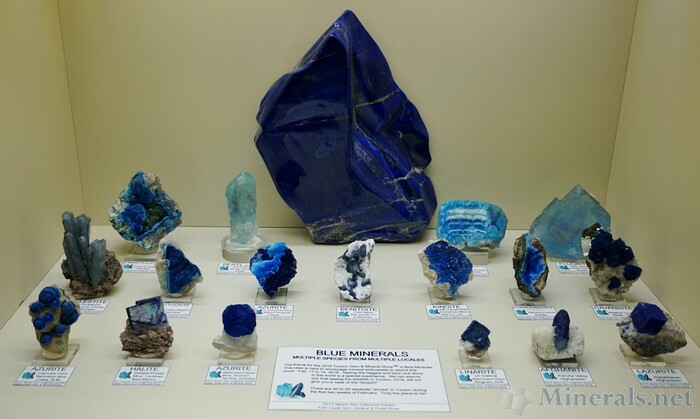 There were so many exceptional minerals in each case that were worthwhile to be photographed, but we had to limit ourselves to only a few per case. 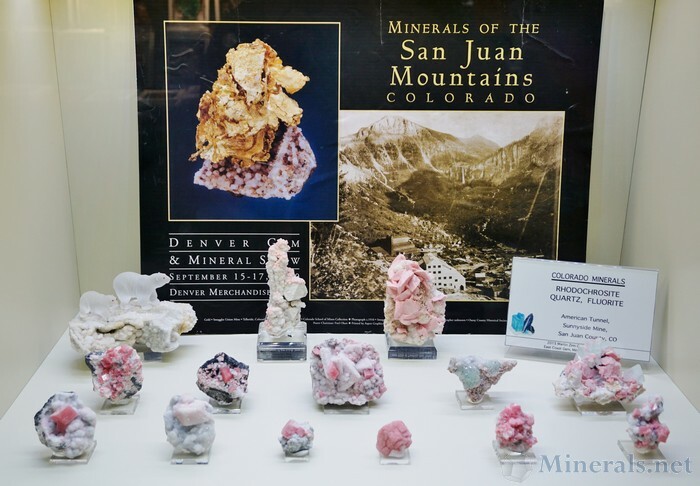 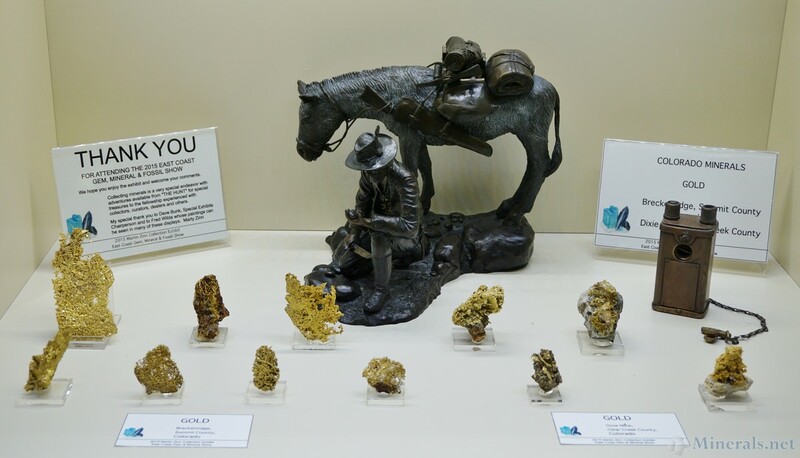 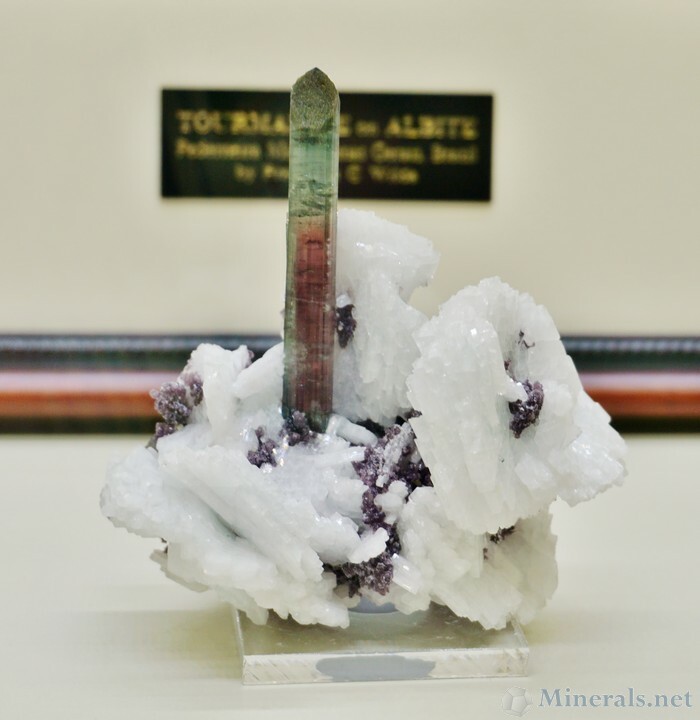 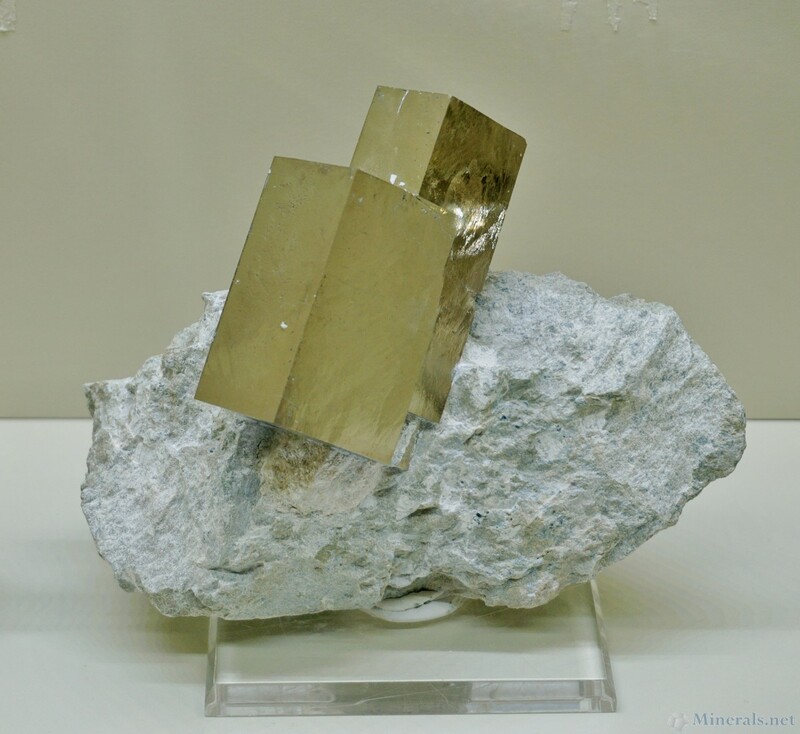 Our choice of individual minerals that were photographed include exceptionally interesting specimens or iconic minerals that were associated with a prop, such as a painting or feature of a magazine cover. 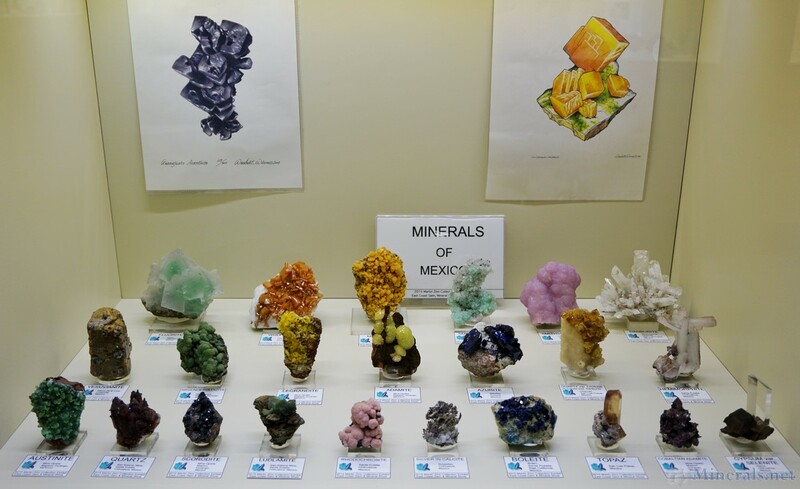 Due to the large amount of minerals to show, we divided this into two separate postings. Click the pictures below for a larger version pop-up. 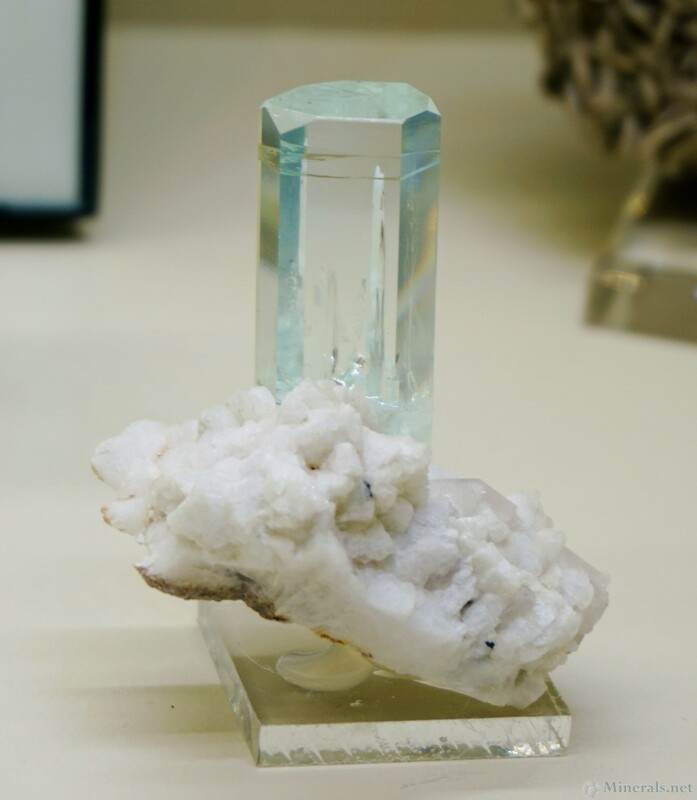 Calcite Twinned Crystal from the Elmwood Mine, Carthage, Tennessee. The blur is caused by double refraction. 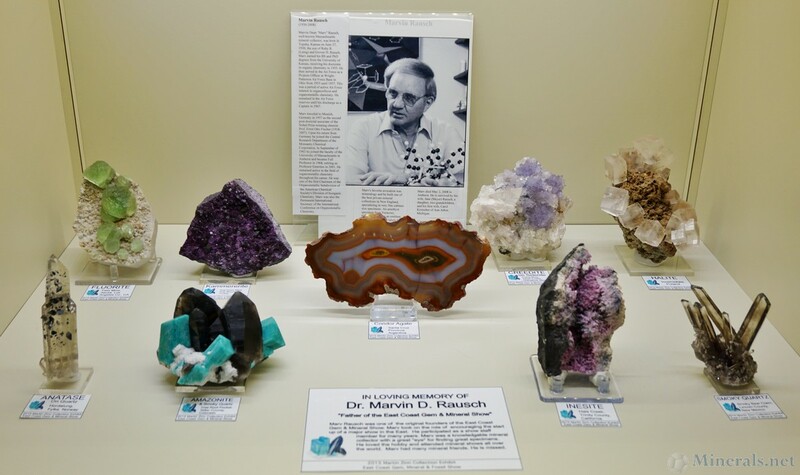 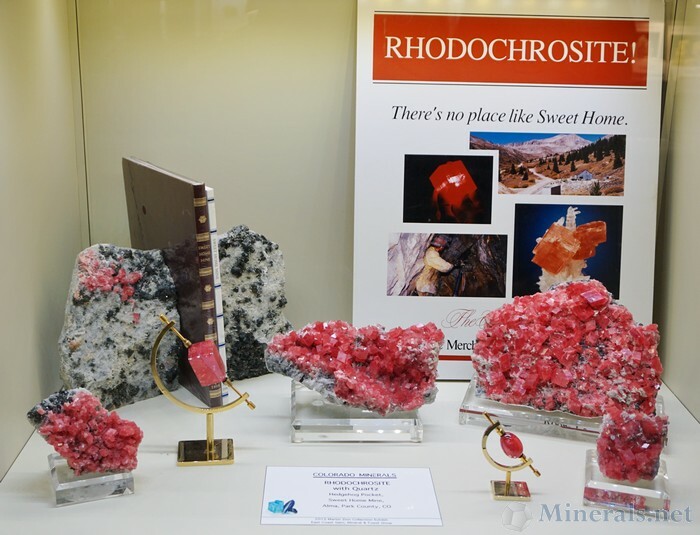 In Loving Memory of Dr. Marvin D. Rausch - "Father of the East Coast Gem & Mineral Show"